Who influences your thinking? Who influences your goals? How do you decide who to take inspiration from? Who inspires your habits? Who inspires you to be better? To do better? These are all questions I hear time and time again. Questions I have asked myself on many an occasion. I believe that one of the greatest habits we can instill in ourselves is to question where our actions and feelings come from. It's not a matter of being cynical persay, but a matter of being at the forefront of what you put out into the universe, of how you contribute to society, and of how you contribute to your own growth. The more you question why you're feeling happy, sad, excited, determined, confused, the more in control you become of your own experiences. To me, this isn't about not taking inspiration from others, instead it is about deciding who and what to take inspiration from. Choose who your influencers are, and when it is best for them to influence you. I have various influencers in my life and they carry influence in different ways. Sometimes their influence is of a mentorship approach and at other times I am called on to mentor them, and in doing so I am inspired to be a better person and follow my own advice. After all, people do often say people need to take their own advice sometimes. Recently, I attended the birthday party of a significant influencer in my life, my Nanna. This Guy and I entered the room of the celebration to be greeted by an astonishing sight. There was a room full to the brim of people who had been touched and inspired by this woman for the pasty seventy years. There were people who had travelled across boarders to be there and people who had come from just down the road. There were people from her childhood, people from her college days and people from her current church community. The room was filled with cheer, love and radiated a sense of praise for this woman who has inspired so many people. I am still feeling down right silly that I could have thought for a second that she was MY influencer, when alas, she is the influencer of people across so many generations. 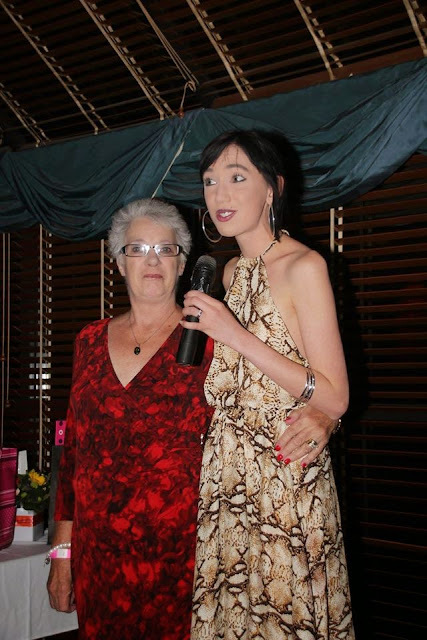 What happened next was absolutely extraordinary, in true Sweethart style I took the microphone as the eldest of her nineteen (yes 19) grandchildren and tried my hand at verbalising what this woman meant to me. I can't remember exactly what I said but it stuck a cord with my audience, my fellow mentees and the room filled with tissues. When I was finished, the cake was cut and the formalities finished, I was overwhelmed with people coming up to me telling me stories of how this one person had impacted on their life and their happiness. This didn't stop that night. Over the next couple of days facebook swarmed with stories, comments, private messages, all thanking me for verbalising what they had wanted to. The sad part is, the day after the party, my Nanna told me she felt she had a lot to live up to after my speech, because she felt she wasn't as good a person as I made her out to be. Well, to set the record straight, I don't think I did her justice. For as long as I can remember she has been an advocate for getting on with it, not burdening others, seeing the positive in life and above all embracing life for what it is. This woman who has provided a wealth of inspiration to so many people over her life and is continuing to drive influence, doesn't know just how much impact she has, and you my sweethart are probably the same. Take my Nanna as an example of how even when we don't think we are influencing those around us, we are, day by day. Let your influence be a positive one. Smile. Relax. Share. Create. Listen. Love.